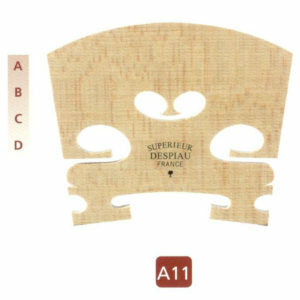 For three generations the Despiau family has been perfecting the art of selecting, cutting and drying timber, in particular the Sycamore Maple. 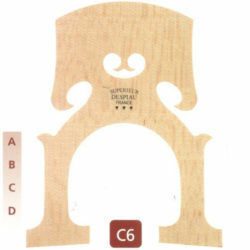 This long standing tradition is coupled with an innovative approach to our extensive range of bridges. 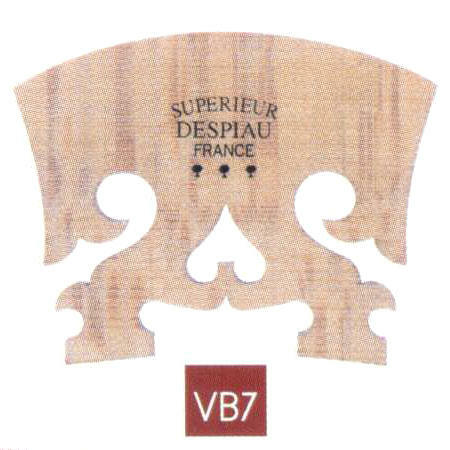 Standard models include violin, viola, cello, bass, viola da gamba and viola d’amour plus we regularly put our expertise at the disposal of instrument makers who wish to create made to measure or original models. Their passion for the craft and rigid quality control procedures have resulted in their being recognized as a World leader in high-grade bridges. 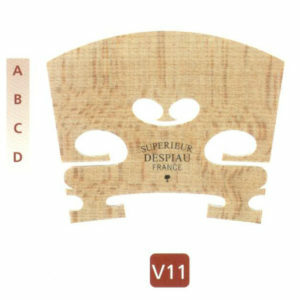 One of the benefits of the Despiau bridge range is that they have made it possible to get bridges that are ‘custom’ made to deal with various sonic challenges that instrument makers sometimes have to deal with. 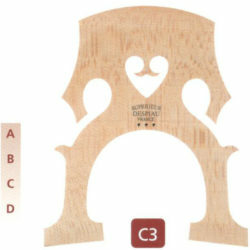 Bridges available in high, medium or low sizes to suit varying fingerboard angles and combined with three choices of heart positions can offer the instrument maker multiple, subtle variations. 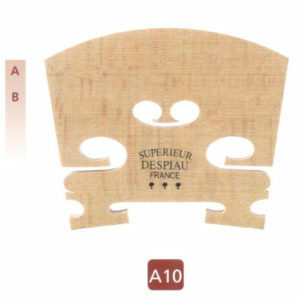 Unfinished bridges to give the instrument maker total freedom to create his or her own particular style as well as more finished models that simply require fitting. 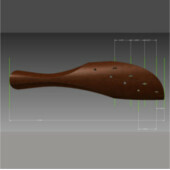 All our models have machine/precision cut, harmonious curves. 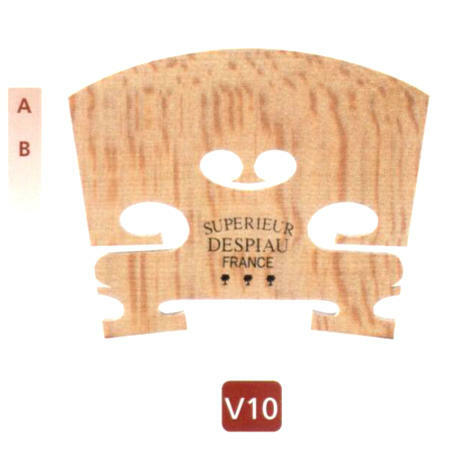 The semi-finished models need only the finishing/final touches of the instrument maker. The thicknesses of the top and feet of all our bridges are generously proportioned to give the maximum freedom in final shaping.